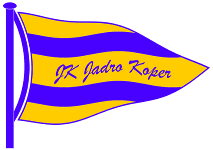 This regatta will be organized by the JK Jadro Koper. and the other in the local beach beside marina Koper. Those two areas are already equipped with slipways. shops, bars and restaurants is few minutes away. case of bad weather can be also a shifty light wind from SE. The price includes full entrance to the swimming pol area, fitness gym and a parking lot. Please send your inquiries directly to zusterna@terme-catez.si (with "EuropaCup inquiry" in subject) or use the LASER19 promo code when booking online (https://www.terme-catez.si/en/slovenian-coast/accommodation/aquapark-zusterna-hotel).